Born in London, Chesterton was educated at St. Paul's, but never went to college. He went to art school. In 1900, he was asked to contribute a few magazine articles on art criticism, and went on to become one of the most prolific writers of all time. He wrote a hundred books, contributions to 200 more, hundreds of poems, including the epic Ballad of the White Horse, five plays, five novels, and some two hundred short stories, including a popular series featuring the priest-detective, Father Brown. In spite of his literary accomplishments, he considered himself primarily a journalist. He wrote over 4000 newspaper essays, including 30 years worth of weekly columns for the Illustrated London News, and 13 years of weekly columns for the Daily News. He also edited his own newspaper, G.K.'s Weekly. (To put it into perspective, four thousand essays is the equivalent of writing an essay a day, every day, for 11 years. If you're not impressed, try it some time. But they have to be good essays, all of them, as funny as they are serious, and as readable and rewarding a century after you've written them.) 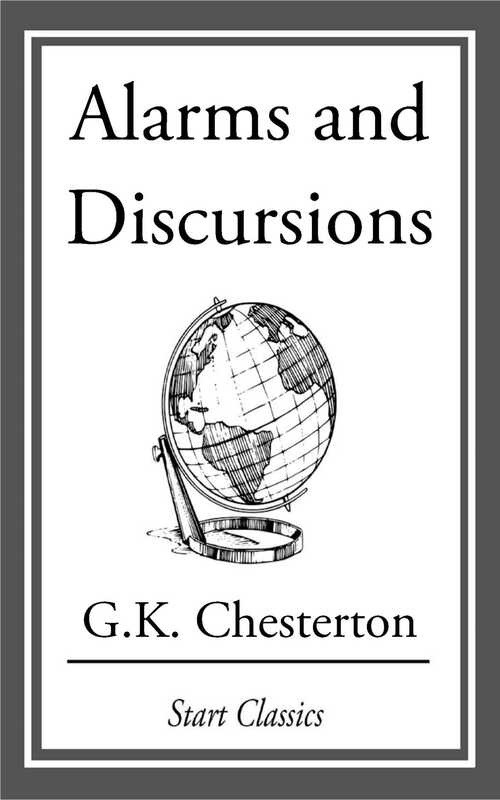 Chesterton was equally at ease with literary and social criticism, history, politics, economics, philosophy, and theology. His style is unmistakable, always marked by humility, consistency, paradox, wit, and wonder. His writing remains as timely and as timeless today as when it first appeared, even though much of it was published in throw away paper. This man who composed such profound and perfect lines as "The Christian ideal has not been tried and found wanting; it has been found difficult and left untried," stood 6'4" and weighed about 300 pounds, usually had a cigar in his mouth, and walked around wearing a cape and a crumpled hat, tiny glasses pinched to the end of his nose, swordstick in hand, laughter blowing through his moustache. And usually had no idea where or when his next appointment was. He did much of his writing in train stations, since he usually missed the train he was supposed to catch. In one famous anecdote, he wired his wife, saying, "Am at Market Harborough. Where ought I to be?" His faithful wife, Frances, attended to all the details of his life, since he continually proved he had no way of doing it himself. She was later assisted by a secretary, Dorothy Collins, who became the couple's surrogate daughter, and went on to become the writer's literary executrix, continuing to make his work available after his death. This absent-minded, overgrown elf of a man, who laughed at his own jokes and amused children at birthday parties by catching buns in his mouth, was the man who wrote a book called The Everlasting Man, which led a young atheist named C.S. Lewis to become a Christian. This was the man who wrote a novel called The Napoleon of Notting Hill, which inspired Michael Collins to lead a movement for Irish Independence. This was the man who wrote an essay in the Illustrated London News that inspired Mahatma Gandhi to lead a movement to end British colonial rule in India. This was a man who, when commissioned to write a book on St. Thomas Aquinas (aptly titled Saint Thomas Aquinas), had his secretary check out a stack of books on St.